We offer over 4,000 high quality aluminium and PVC-U products in sheet, bar and profile formats. With superb value for money, realistic minimum order values and same day and next day delivery, we take some beating! Eltherington offers everything from plate, angles and tubes through to box sections and bars. We have it all. Our products are of the highest quality and always in stock. Our expert metal cutting and fabrication service saves you time and can enhance the efficiency of your production process. So, whether you’re an architect looking for the highest quality facade products for your project, a leisure home manufacturer looking to add contemporary appeal to your design, or a manufacturer looking for one of the widest ranges of aluminium and PVC-U stockholding items in the UK, you’ll find it all at Eltherington. The combined experience of our stockholding team adds up to close on 100 years. That kind of knowledge takes some beating and our staff provide customers with invaluable advice and guidance when it comes to sourcing quality stockholding components. 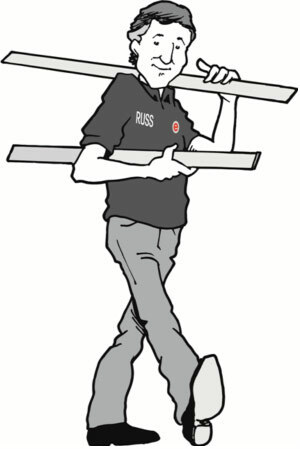 With 35 years experience, Russ’s knowledge takes some beating. Highly experienced in transportation logistics, he is in the perfect role as our Warehouse Manager. All our warehouse team are focussed on offering customers a responsive delivery service and we currently offer same day/next day deliveries, along with the option of couriers for special deliveries. Getting it right ‘right first time every time’ is Russ’s goal and that is exactly what his team does. Having worked at Eltherington for 10 years, Claire is one of our most experience Account Handlers. Always with a smile and a friendly manner, she constantly looks for ways to help customers, both over the telephone and at the trade counter. 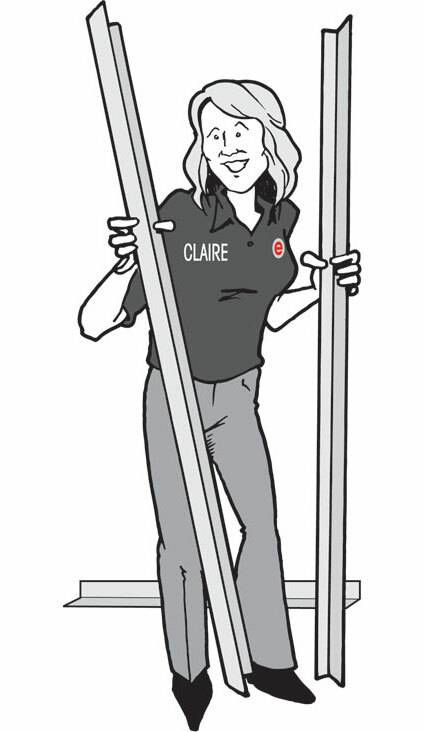 Claire has excellent knowledge of both our aluminium and cladding ranges. Account Manager Shakira has worked at Eltherington for 18 years and that has provided her with an excellent knowledge of our product and systems. 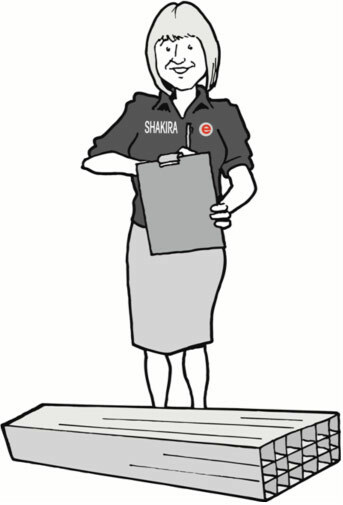 If you’re looking for help with sourcing Sheet, Extrusion and UPVC Cladding then Shakira is the one to help. Always looking for ways that we can better serve our customers she has developed a strong partnership approach to making sure our customers receive the products they want and when they want them.